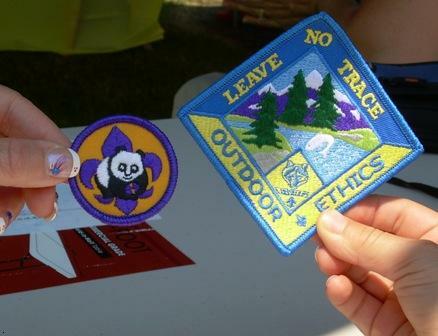 Our Cub Scout "feeder" pack had an awards ceremony Sunday, and 9 Cubs received Leave No Trace awards, with some also receiving the World Conservation award pictured on the left. Here's a list of the awardees, prepared by Tommy, the Boy Scout Guide and a Cub Den Leader. The best part of this accomplishment for me was how little extra effort was needed, once the Boy Scouts began getting the training and awards. The Cubs look up to their larger relatives or friends in the Boy Scouts, and will naturally want to emulate them. It's going to be great to take these kids on hikes and camping trips as they get older, as they are prepared to be model citizens of the woods.